M. L. Longworth. Photo by Greg Salvatori. M. L Longworth was born in Toronto in 1963. In the early 1980s she studied art history at York University in Toronto. Then, in 1989, as newlyweds, she and her husband bought a van, drove across the United States, and settled in San Jose just before a major earthquake. Two years later they moved to Santa Cruz, where they lived until, on “one fateful day,” Mary Lou decided to experiment with a new-fangled invention called the Internet, by typing in the words “France-Computers-Jobs.” She found a job vacancy for a bilingual (French/English) Webmaster in a little town near Aix en Provence. Her husband got the job, and 18 years later, they are still there. Mary Lou is the author of a wonderful series of mysteries featuring Antoine Verlaque, an Aixois judge, and his on-again, off-again law professor girlfriend, Marine Bonnet. She graciously consented to answer a few questions via e-mail as I was preparing for the class I am currently teaching at Politics & Prose bookstore in Washington D.C., in which we will be discussing “Death at the Chateau Brémont,” the first in her Verlaque/Bonnet mystery series. JH: The story of how you came to live in Provence, which you tell on your blog, is a charming tale in and of itself. What combination of luck, determination, and/or courage do you think accounts for such a wonderful outcome? JH: You’ve lived in Provence for 18 years now, right? What do you love most about life there? MLL: I love French values: sitting down to a good meal with friends (that can last six hours) is still more important than having a big car. The pace of life is slow: mandatory six weeks holiday, with many long weekends thrown in. The French value culture, too, and I’ve overheard many conversations between teenagers, or shop girls, about the latest art exhibitions they’ve seen. I love the food and wine here, of course, and that food is seasonal. You don’t eat asparagus in December. I’m not even sure you could find it. Perhaps in a big hyper-marché, which are sadly popping up on the outskirts of our cities. JH: You grew up in Ontario, and before moving to France you lived in California. What do you miss most about American life? MLL: It may sound clichéd, but I miss the fact that in North America if you are determined, hard-working, courageous, and a bit lucky, you can make it. In France too much still depends on the university you went to, or your last name. I miss Tex-Mex food, too. JH: How and why did you decide to make the transition from writing nonfiction to writing fiction? Was it a difficult transition? And what do you like most about each form? 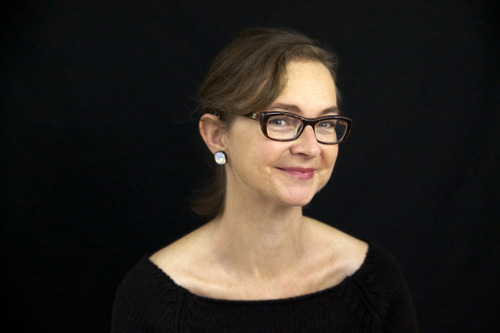 MLL: Turning to writing fiction was kind of like your first question: a combination of luck, determination and courage. After years freelancing I got tired of submitting article pitches to magazines and newspapers; I’d wait weeks, or longer, for an answer, and it was often negative. I realized I was pitching articles that were interesting to me, as a European, but not to an American reader. I was out of the loop. But my articles had lots of descriptive passages about scenery, and food and wine, so I began a novel. The most difficult part of the transition from non-fiction to fiction was the dialogue: it took lots of rewrites to give conversations a natural flow and sound. I then read an article where Roddy Doyle spoke of spoke of the long hours and many revisions he put in over dialogue, so that gave me courage. He’s a master: one of his recent books, “Two Pints,” is just a conversation between two friends in a pub. JH: You teach creative writing at NYU’s Paris campus. What do you think is the most important thing for young writers who are developing their craft to know? What is the most important thing you try to impart to young writers? MLL: I am very lucky to teach at NYU (there’s that luck again!). I stress good, clear, communication and what Hemingway called those perfect sentences. The reader has to be able to understand you! Observation is important too. The millennial generation is often accused of being “tuned out” so I take the students around Paris, and have them write about what they are looking at, in detail, whether it’s a painting or a building, but not as an art historian, but how each student sees it: what it means to them. The results are outstanding. The students also write a memoir. They finally have permission to write about themselves, and use “I”! It’s a tricky one, because they can’t get too self-absorbed, otherwise the reader will lose interest. This assignment leads them to find their voice. So often young writers think they have to use another voice, one that’s not their own: they imitate other writers, or try to sound academic. These freshmen, who come from all over the world, are such interesting people, and I want to hear their stories, their words. 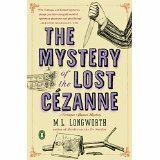 JH: Your latest book, “The Mystery of the Lost Cézanne,” has kind of a dual plot, in which Paul Cézanne himself is one of the characters. What made you think of doing this, and what was it like digging into Cézanne’s past? MLL: I studied art history at university, and Cézanne was born in Aix, so it’s only natural that I’d get around to writing about him. I love reading about history, and so the research was fun, and I enjoyed the challenge of giving two 19th century characters voices. There’s much written about Cézanne’s gruff personality, and I wanted to explore perhaps a softer, kinder side of him. Entry filed under: About France, About Writers and their Work. Tags: Aix en Provence, books about France, books about Provence, Cezanne in fiction, France, M. L. Longworth, mysteries, mysteries set in France, Provence, Verlaque/Bonnet. An Interview with Mark Pryor, Author of the Hugo Marston series	Does Writing from the Heart Really Matter?